Stars. So fun. 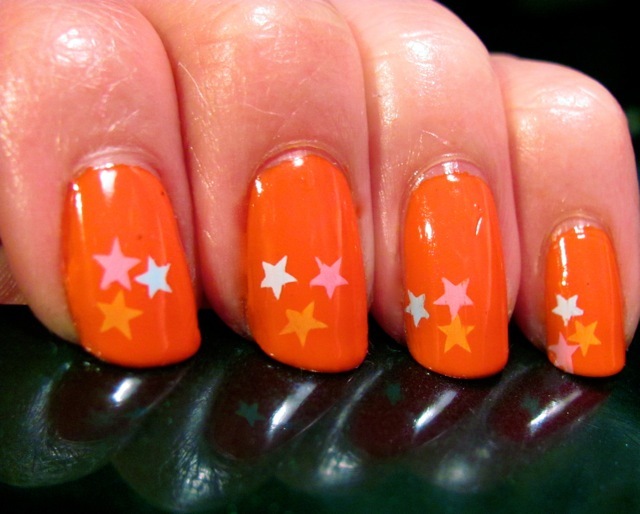 And a great compliment to this orange color from OPI that I love. 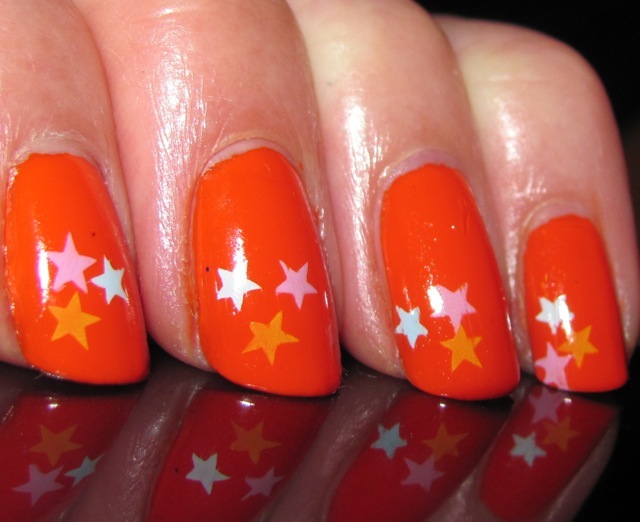 I painted three coats of OPI A Roll In The Hague. Using Konad special stamping polish in Yellow, White, Coral Blue and Violet I stamped stars with Bundle Monster plate BM14 I painted one coat of Seche Vite for my sealer. That is a stunning orange polish! Oh!! This is a fave!